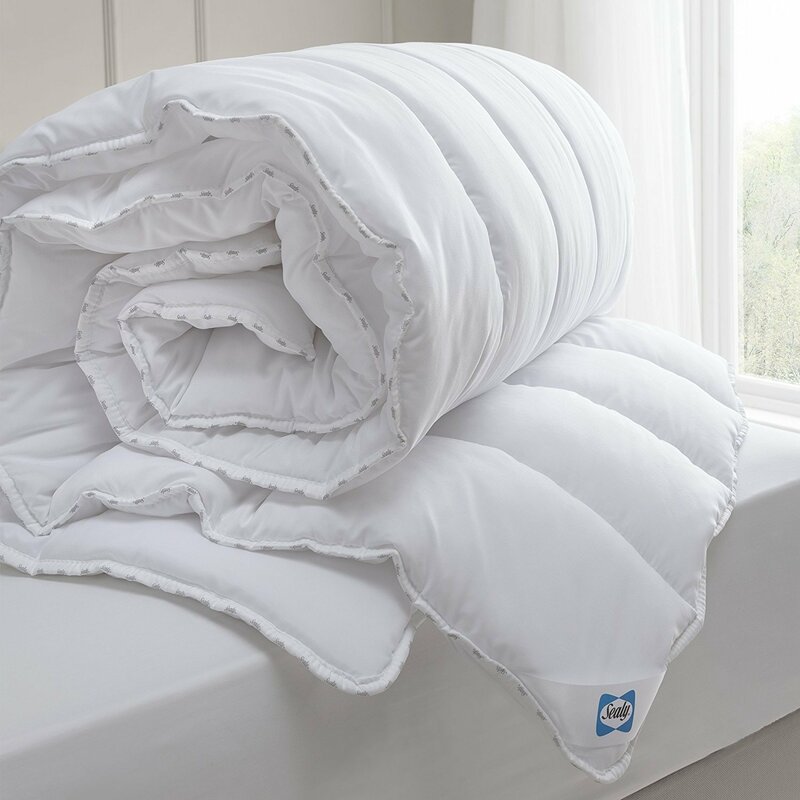 If you are looking for a high quality duvet for your bed, then this one from the Sealy﻿ brand gets fantastic reviews. Priced at around £35-36, this gets a very high average buyer rating of 4.8 out of 5 stars. 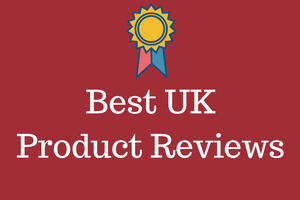 Based on those range of buyer reviews, you know that they are excellent quality duvets. This duvet is available as a single, double, King and Super King Sizes. It is also available in three Tog ratings which are 4.5 Tog, 10.5 Tog and 13.5 Tog. The lighter Tog rating is suitable for the British summer time, the 10.5 is ideal for Spring and Autumn and the 13.5 is perfect for the Winter months. Many buyers though simply buy the 10.5 and use it all year round. At the time of writing this review, there were over 80 buyer reviews, that we had the opportunity to read and understand. When we had done that, we put together a summary. This is shown below and is based on the star ratings given to this popular duvet choice. People who buy these, use them and then leave a review do so using a star rating system. From this you can easily and quickly see that over 8 out of 10 buyers rated this duvet as a 5 star product. 98% in total rated them as 4 stars or higher. At the lower end of the scale 1 of every 100 buyers rated these just a single star. ​If the percentage of 1 stars is low, I normally do not get that concerned. As you can see from the above information, that figure is extremely low at 1%. We had a quick look and this is what we found. The buyer bought a repackaged item, which to be honest is never a good idea. It was poor quality and in bad condition. A lesson to learn for us all is that although you might save a few pounds, you never really know what you are getting. Any buyer who bought a new one raved about the quality. You can machine wash this duvet which I think is vital. You can also dry it in the tumble drier, so that makes keeping it clean, a very simple thing to do. 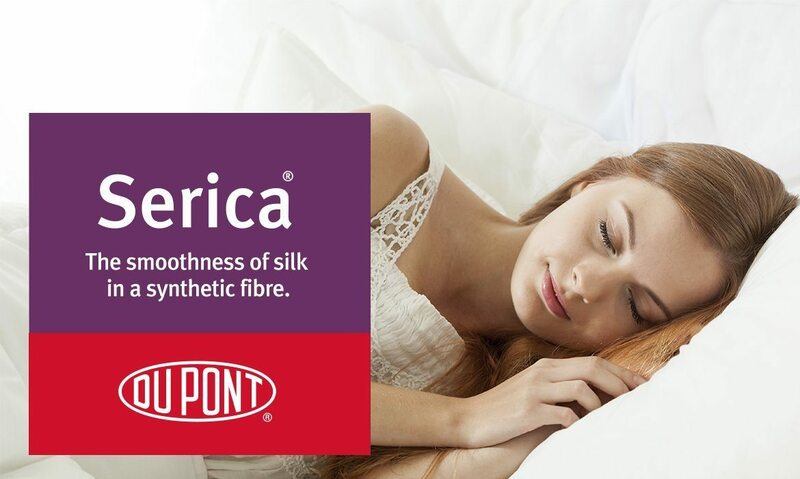 It has a microfibre cover, and the filling is made from high quality DuPont silk fibres for the ultimate in warmth and comfort. That combined with a full 2-year guarantee, made this duvet a great buy for customers. Priced at around £35-36 this is also very good value for money. There are f course plenty of cheaper options on the market, but for high quality, this Sealy one is certainly hard to beat. One of the key secrets to getting a good night's sleep is to try and maintain a constant body temperature, throughout the night. That is quite often easier said than done. This Sealy has combined a few elements to try and ensure this happens. 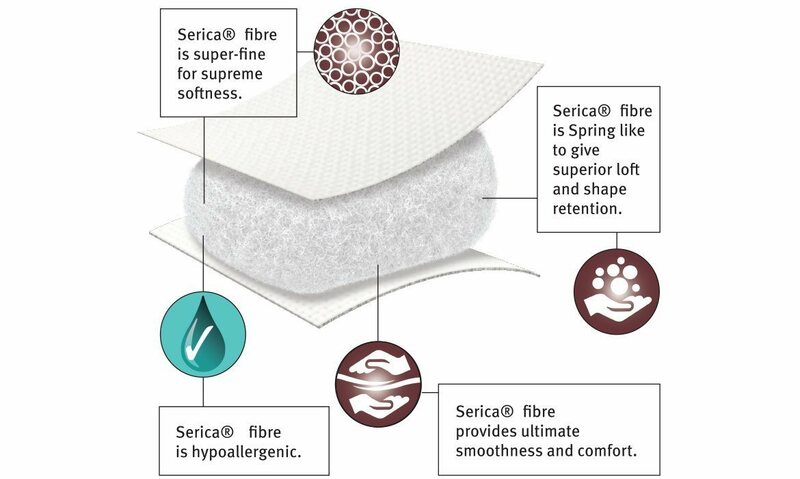 The mircofibre cover allows the duvet to respond to your body temperature. That means that it can keep you cool and comfortable when you are hot, as it wicks away moisture. Like wise it also makes your body feel warm on cold nights. All buyers aid this duvet was very soft. That is down to the type of filling. In terms of keeping this duvet clean, all buyers said it was great that this could be machine washed and also dried in the tumble drier. With an RRP of £35-36, and an average buyer rating of 4.8 out of 5 stars, this duvet is a very good purchase. The Sealy brand is a well known brand name in bedding, and they do make very high quality products. The fact that you can also stick this in the washing machine, means that you can wash it as often as you want, and it will not lose its softness. You can also put it into your tumble drier. This duvet is fluffy and soft. It is also light and the way it can control the temperature of your body is pretty amazing. Many buyers also commented on the fact that it does not make you sweat. Overall the buyer ratings on these are good, and the big majority of buyers like what they have purchased. You will struggle to find a duvet with a higher buyer rating than this one.